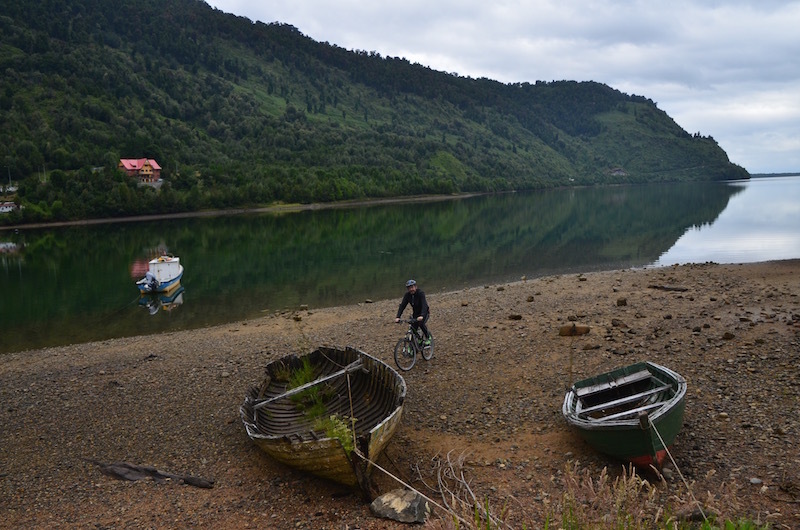 the first stage of this bicycle trip is from Bariloche to Ushuaia. 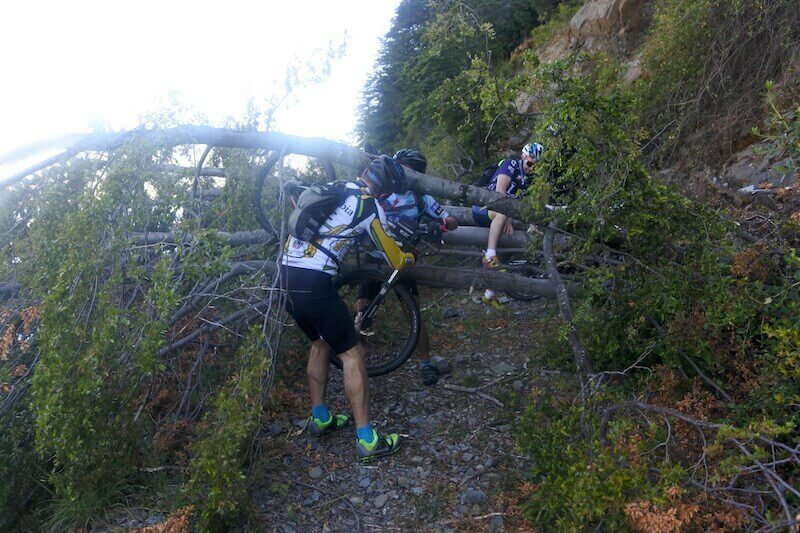 This is considered the toughest and most intense stretch, and it’s an option only for those who want to experience Patagonia at its roughest while riding a mountain bike. 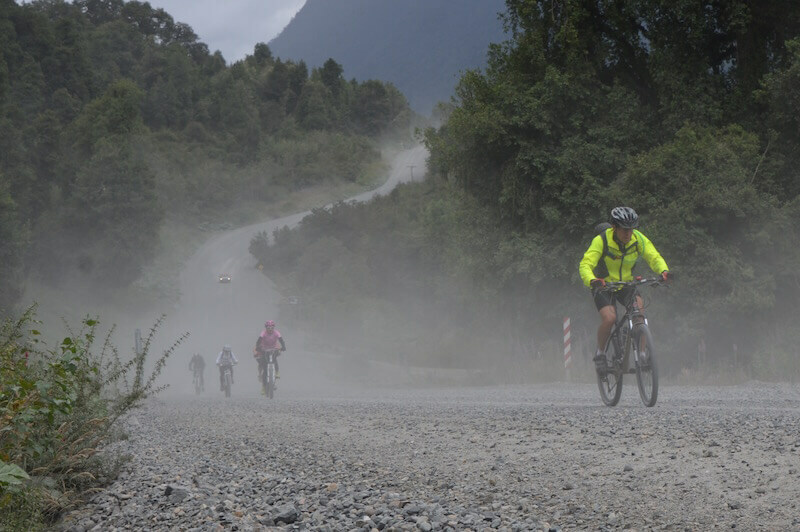 This stage takes place in both Argentina and Chile, while we ride part of the Carretera Austral Chilena and the Ruta 40. We will ride along countless lakes, the Pacific Ocean and suggestive fjords. The Patagonia desert, with its straight lines and wide views, will give us the feeling of being in an “endless space”. We will have the opportunity to getting to know the way of life of locals and gauchos who live in isolated ranches. By the end of the trip, we will be able to enjoy the beauty of the Chalten and to do some trekking to the base camp of Cerro Torre or the Fitz Roy. 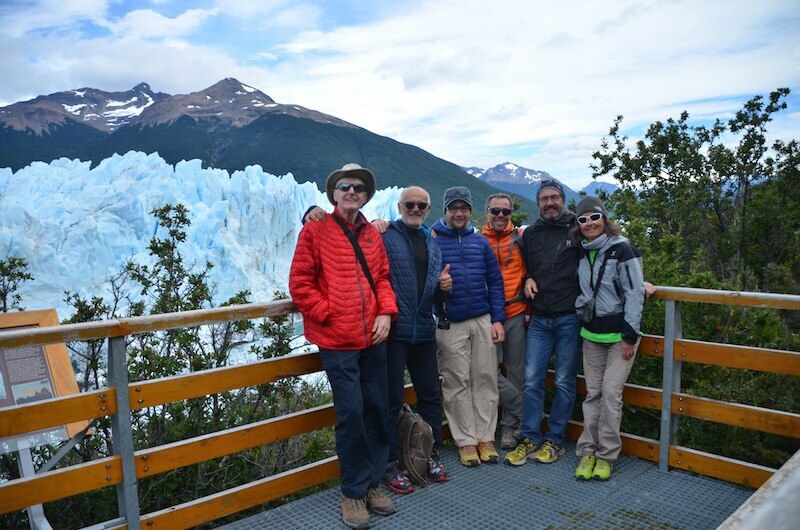 From the Calafate we will go to the Perito Moreno glacier, which with its imposing vastness will be a worthy and deserving finishing line to the courageous cyclists who choose to make this trip. This is an intense tour –from many points of view- and an unique opportunity to get to know Patagonia. Meeting, introduction dinner and assembling of mountain bikes. Ascent to Cerro Otto (1400mosl and 700m level difference). There is a magnificent view of the Nahuel Huapi lake and the mountain range from the top. We will descend on dirt roads and trails. We will ride by lake Gutierrez. Distance: approximately 60 km (20 km gravel road). Level difference: +900m, -900m. Lodging: camping site near lake Mascardi or hostel. We ride along lake Guillelmo and go through a pass at 1200m, then we will descend towards the Bolson (200m). We will ride through Epuyen and Cholila, alternating the plains with the woods in Parque Nacional Los Alerces. 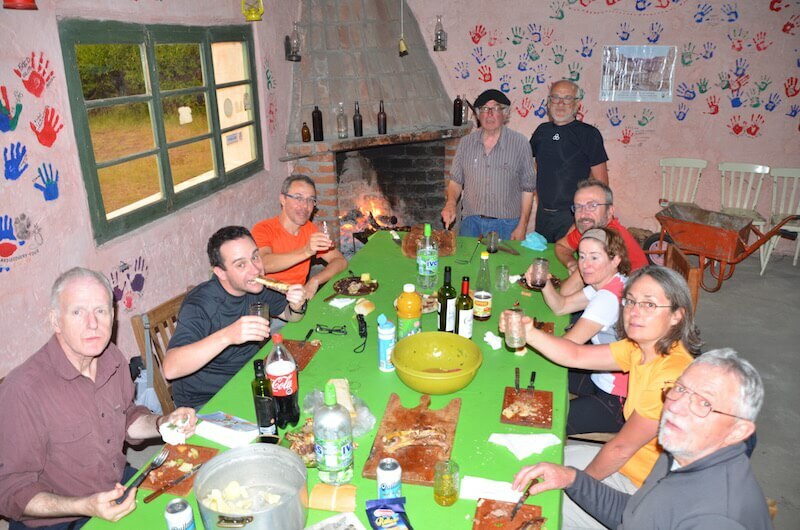 We will spend the night near Lago Rivadavia. 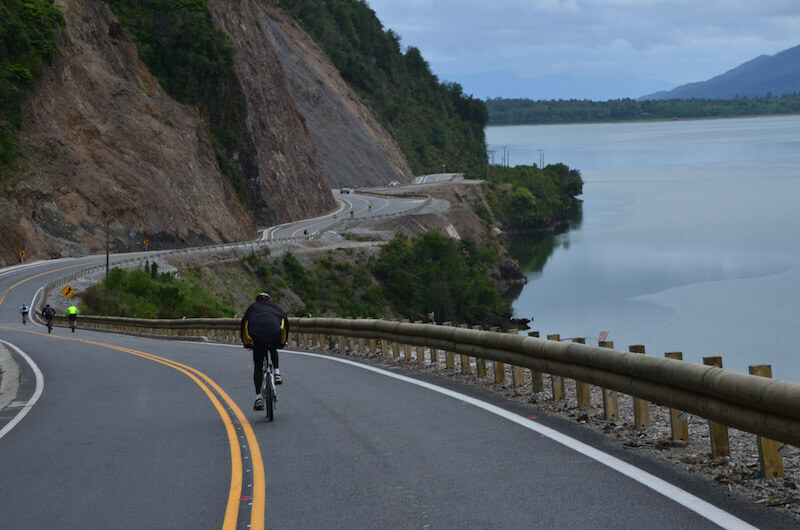 We will go through Parque Nacional Los Alerces, riding by Lake Verde, Arrayanes River and Lake Futalaufquen. We will finish this stage in a village that was and old Welsh colony. 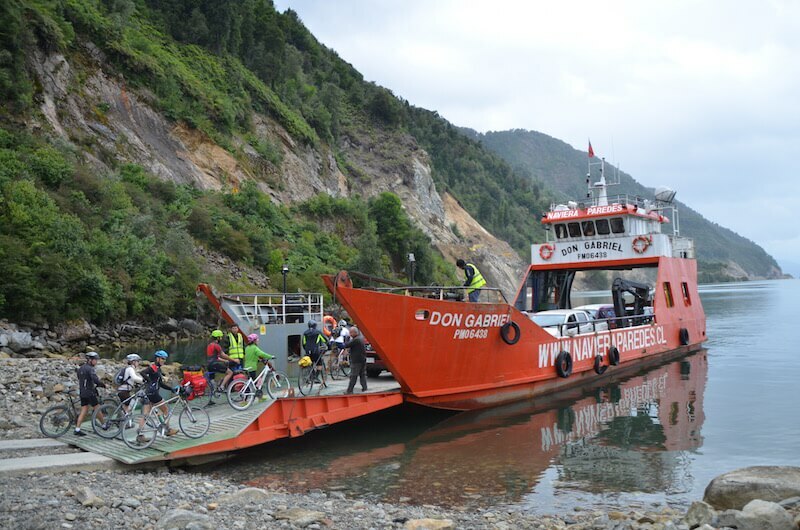 We will go into Chile at Futaleufu Pass and, for 30 km, we will ride on a green and rolling road along Futaleufu River. We will ride along Lake Yelcho, River Frio and Palena. We ride across the forest in Parque Nacional Corcovado. 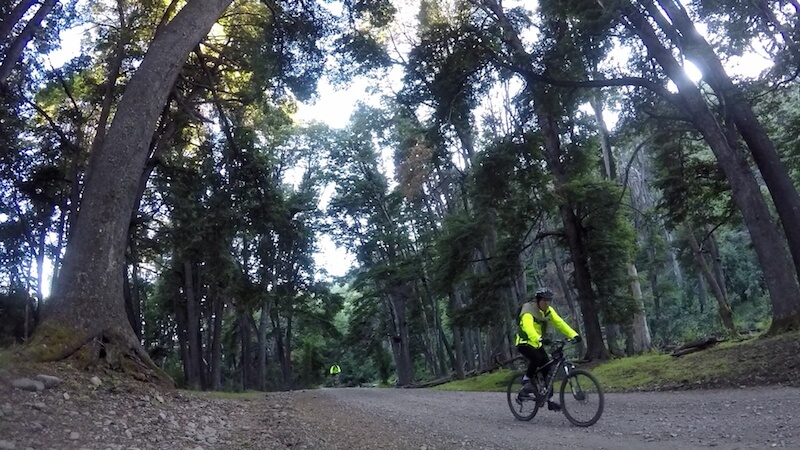 We ride across Reserva Nacional Lago Rosselot and Parque Nacional Queluat. 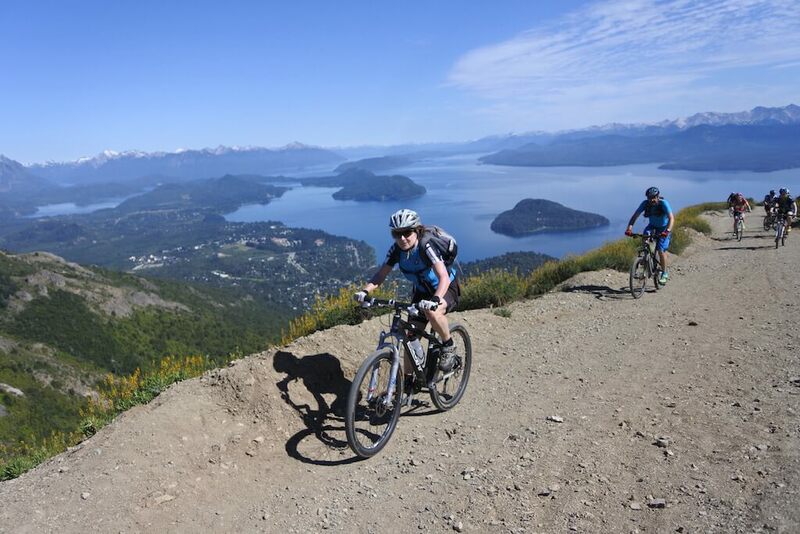 We pass Puerto Puyuhuapi on the Pacific Ocean and ride several kilometers close to the sea, with mountain views, thick forests and the famous “Ventisquero Colgante” (glacier). We ascend the Portezuelo Queluat and end in Villa Amengual. We will ride through 3 national parks: Lago Torres, Maniguales and Rio Simpson. There is the possibility of doing a stretch on the support vehicle. Dinner not included. We will ride through the Simpson river valley and the Reserva Cerro Castillo, and from there we will take a detour to Puerto Ibanez. We will go across General Carreras lake by boat (37 km) to Chile Chico. 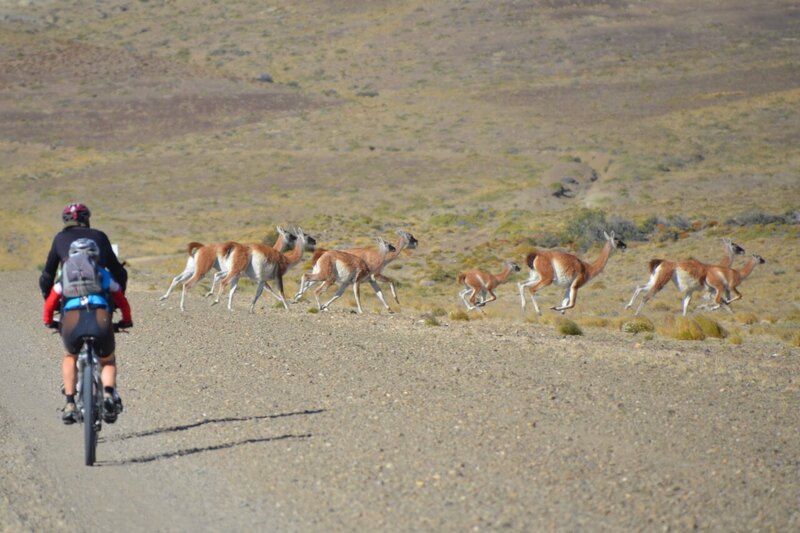 After the town of Perito Moreno (350mosl) we will have a short transfer -80 km- on a vehicle to Estancia Casa de Piedra. 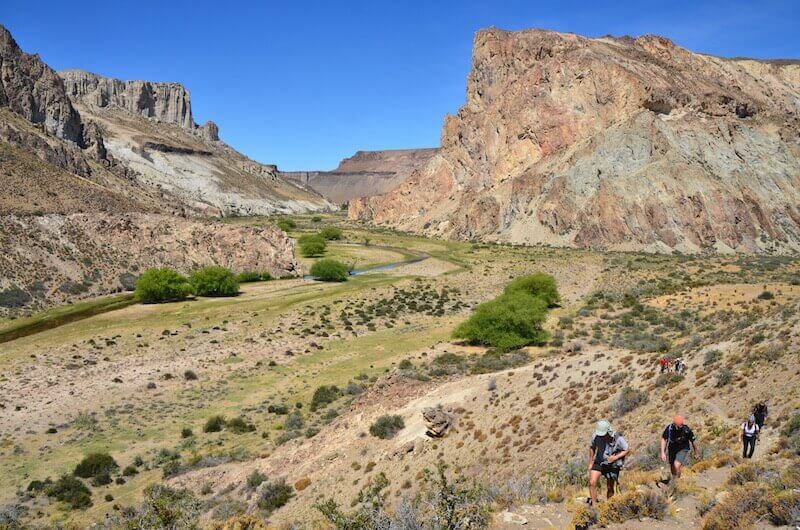 Rest day with the possibility of a 5/6 hour trekking (with a short ascent and a short descent) along the Rio Pinturas canyon, up to the Cueva de las Manos (6 km + 6 km). Level difference: +250m, -240m x 2. Near Casa de Piedra there are two small volcanoes and those who wish to will be able to ride almost up to the crater itself. We will make a transfer on the support vehicle (150 km), going through the town of Bajo Caracoles and the start riding with a –quite likely- strong tail wind, up to km 60 where the dirt road begins. 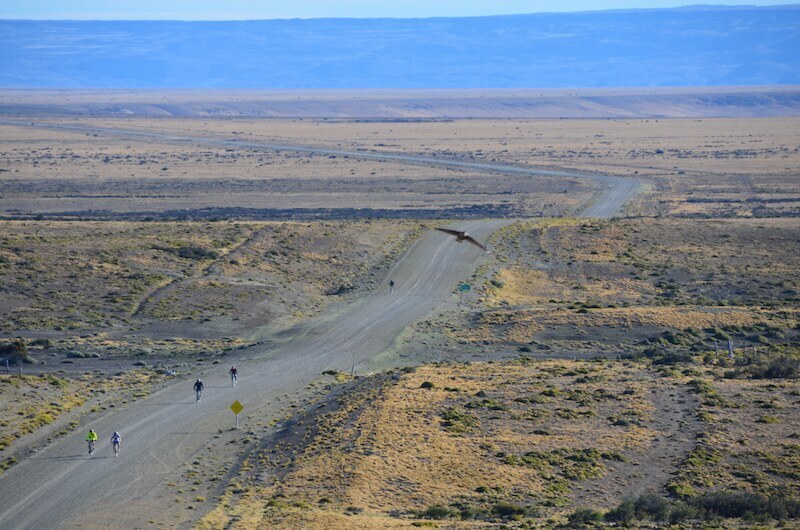 Desert stretches on Route 40, with probable sightings of guanacos, wild horses and nandues. We will go near Lake Cardiel (Estancia La Siberia km 60), a peculiar turquoise lake. We will ride up to a point from which we will make a transfer to the Chalten. 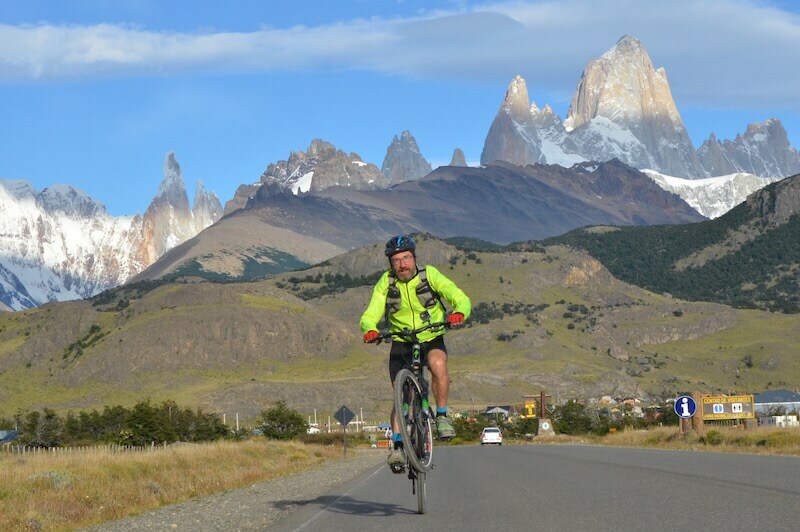 Day off, with the option of a bike ride to Laguna del Desierto or a trekking to the Fitz Roy or Cerro Torres base camps. 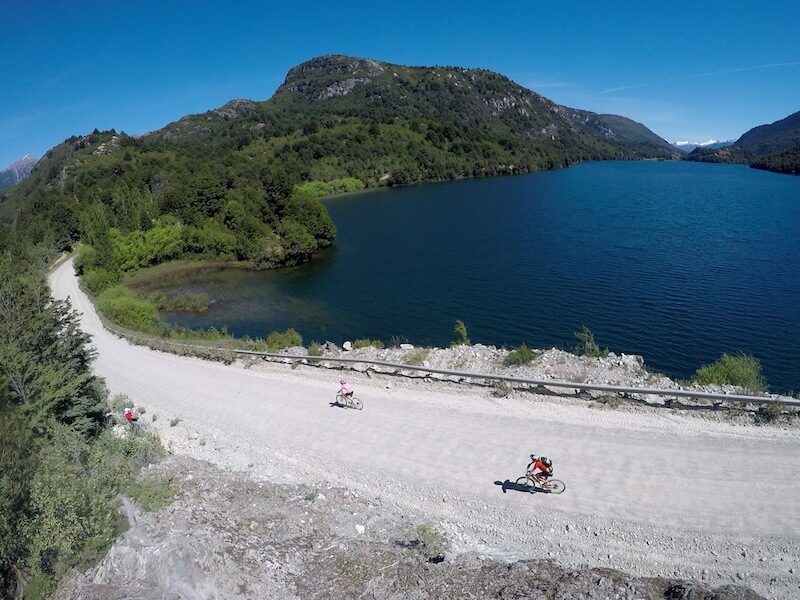 We will ride close to Lake Viedma, La Leona river (mostly tail wind) and finish at Lago Argentino. We will make the last 35 km on the support vehicle in order to avoid a dangerous route (too much traffic and side winds). 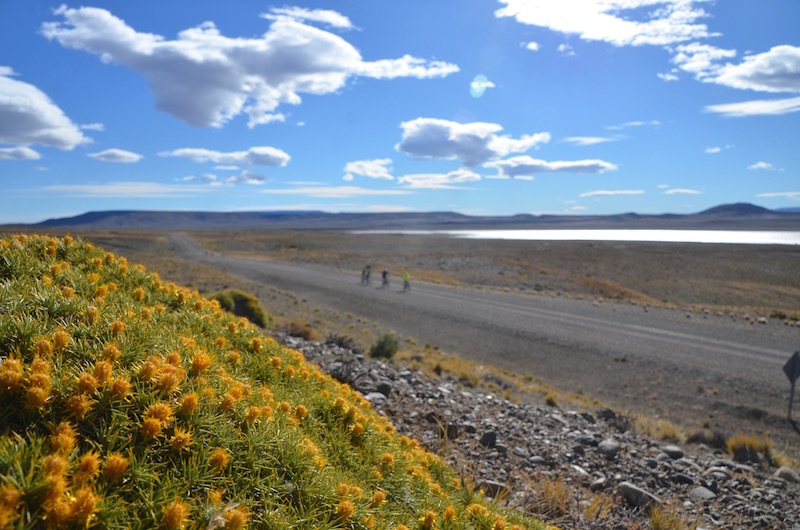 We will be joined by the cyclists who will do the Calafate-Ushuaia stretch. Dinner not included. We will make the trip to Perito Moreno glacier. Take a boat ride to Lago Argentino and optional trekking. total distance 1327 km. Some stretches will be done on the support vehicle, which will always be available for those who may need it. The total distance is divided into 13 days of riding, with 4 days for rest and optional field trips. Daily distance: 100 km, with stops, a long one at midday. Average daily riding time: 6 hours. Average speed –approximate-: 17 km/hour. Wind: mostly from the west –sideways-. Level difference: the itinerary is uneven terrain. We will ascend 11.000m with a daily average of +850m. Maximum height will be 1500mosl. between 5 C and 25 C (we recommend a 0 degree sleeping bag). Weather is humid in the Andes, we should expect rain, and very dry climate in the plains and desert. there will be stops every 2 or 3 hours in order to drink water, coffee, tea or juice and energy snacks. There will be a long stop a midday in order to have lunch. Dinner will be either prepared by the team or, whenever possible, in restaurants. The support vehicle will always be available. this is a trip for reduced groups, minimum 5 people and maximum 8. Registration should be confirmed at least 3 months in advance. Otherwise, there could be a surcharge on the cost. permanent assistance of 2 guides/assistant. Support vehicle/s with capacity to carry the whole team and the cyclists whenever necessary. Meals and snacks during the rides. Boat crossing of lake General Carreras. Lodging: 17 night in hotels, hostels, cabins –double or triple rooms-. It will be possible to sleep in shared rooms by making a reservation, at an extra cost. Meals mentioned as not included.